The Boston Harborwalk is a nearly 40-mile public waterfront walkway that winds through Boston’s waterfront neighborhoods, stretching from Chelsea Creek to the Neponset River, through East Boston, Charlestown, North End, Downtown, Fort Point, South Boston and Dorchester. It is designed to connect the public to Boston Harbor and link the water’s edge to the city’s open space network. The Harborwalk offers a variety of experiences, public amenities, and points of interest. Get out there an explore them all! 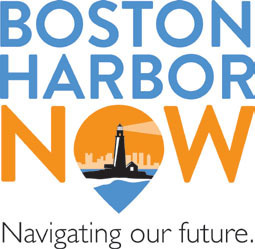 For guided tours and harbor clean up opportunities please contact the Friends of the Boston Harborwalk, a volunteer group dedicated to enhancing public awareness and enjoyment of Boston’s Harborwalk. This web tool is a user-friendly representation of Chapter 91 license amenities found along Boston’s waterfront. It is intended for recreational use as a public access guide and a trip planning tool. For best results, use the web tool’s amenities filter to select the public amenities you would like to find along the waterfront. When you are happy with your selection, hit enter and hide the filter bar. A number of orange pin drops will appear across the map. Click on each pin drop to learn more about the waterfront property and its public amenities. To access full-text Chapter 91 licenses for all properties listed, please refer to MassDEP’s website. To report an issue with the Harborwalk please refer to the City of Boston’s 311 service line. Please be aware that all commercial filming and professional photography inquiries should be directed to the individual property managers in advance of any planned activities on the Harborwalk and abutting Chapter 91-required public spaces. Initially conceived as part of the 1984 Harborpark plan, The Boston Harborwalk is a public waterfront walkway that includes parks, resting areas, art, seating, cafes, exhibit spaces, interpretive signage, water transportation facilities, and many other public amenities. When completed, the Harborwalk will stretch nearly 50 linear miles along wharves, piers, bridges, beaches, and coastline from Chelsea Creek to the Neponset River. Public waterfront access and activation is a collaborative effort among City and State agencies, private property owners, residents and harbor advocacy groups. The first regulation of its kind, The Public Waterfront Act (Chapter 91), requires that new waterfront development be set back from the edge of the water. Today, the public setback area is the public pedestrian path residents, and visitors can enjoy year-round — the Boston Harborwalk. Boston Harbor Now hopes you will visit the Harborwalk and experience for yourself the walking, sightseeing, playing, and spectacular views Boston Harbor has to offer, and so much more! This web tool was created by Boston Harbor Now in collaboration with the Boston Planning & Development Agency and the Massachusetts Department of Environmental Protection with monetary contributions made possible through the Public Waterfront Act public mitigation funds. In addition, thank you to Boston Marine Society for marketing and outreach support. A very special thank you to all who helped create, review, and edit content for this website.